2 - Check the proper placement of seals in the hose. If they are missing, add a fiber or rubber seal. 3 - Screw the smaller end of the hose onto the unit. 4 - Screw the larger end of the hose onto the hand shower. Congratulations, you have finished installing your new GROHE product. 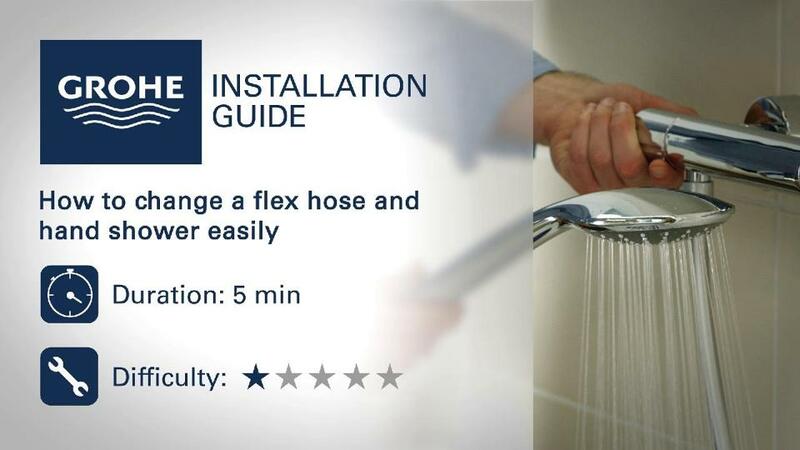 Check our other installation guides and discover all of our products on grohe.fr.